Little bikes are big fun. There’s no shortage of pint-sized whips on the market, and most of them balance surprisingly good performance with a price tag that won’t vaporize your wallet. They’re all rather modern looking though, and usually resemble shrunken versions of their bigger stable mates. And if that puts you off, Istanbul’s Bunker Custom Cycles has the answer. 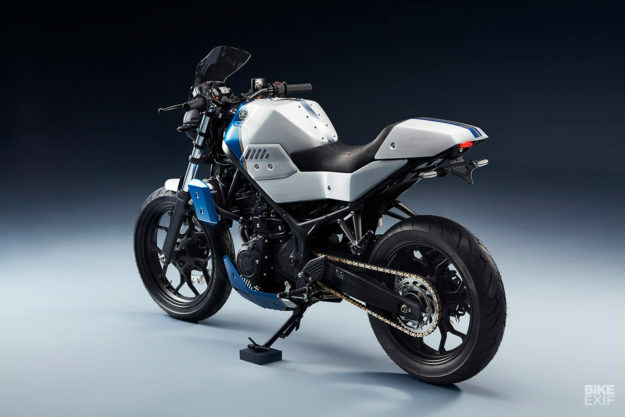 They’ve just thrown the wraps off a stunning body kit that instantly makes the Yamaha MT-03 and MT-25 the best-looking bikes in the middleweight sector—with the possible exception of the new Husqvarna 401s. 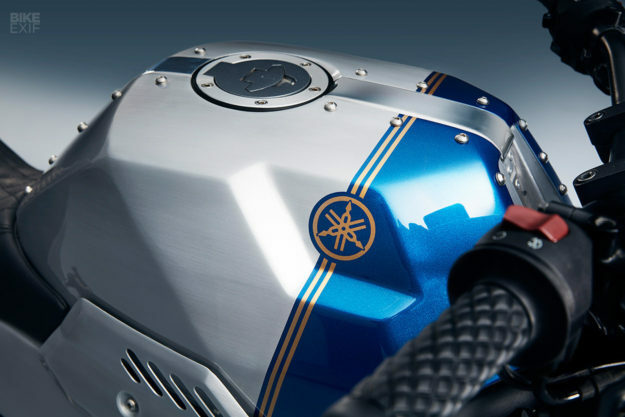 The two Yamahas are almost identical: they’re just sold in different countries. 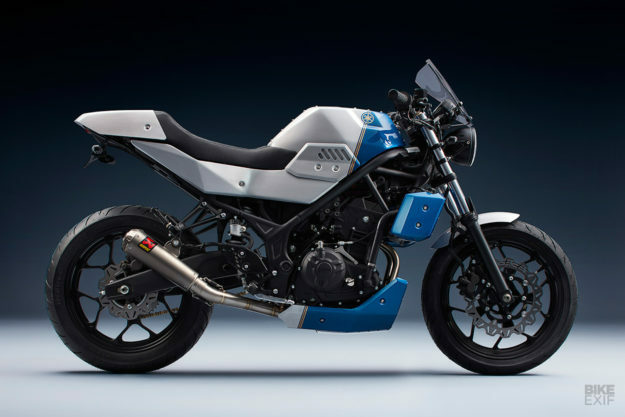 Most of Europe, Asia and Australia get the MT-03 (321 cc), but Turkey gets the MT-25 (249 cc)—so that’s what Bunker used for their eye-catching prototype. So how does the kit work? Without too much fuss, according to Bunker. There are no less than 17 aluminum panels, but they bolt straight onto the MT’s existing mounting points, without a single frame mod. It’s a straight body swap, using just an Allen key and socket wrench. A new seat, and a tinted screen with its own mounting bracket, complete the set. 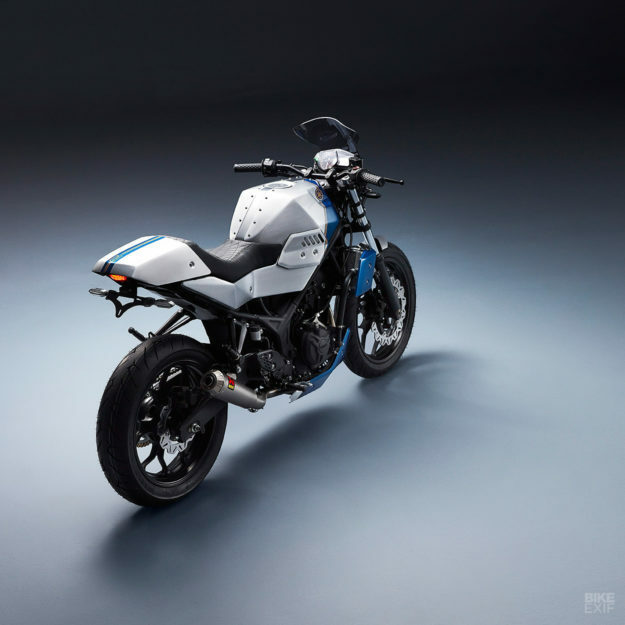 But if you just want to swap out part of your MT-03 or MT-25, you can—most of the kit will interface well with the stock body parts. 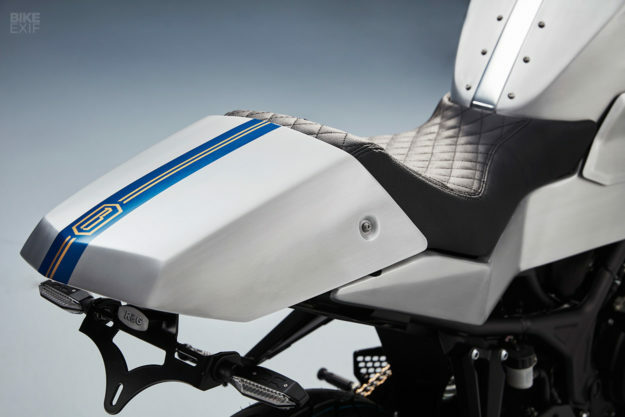 The parts include new tank covers, side panels, a front fender, belly pan and radiator protectors. 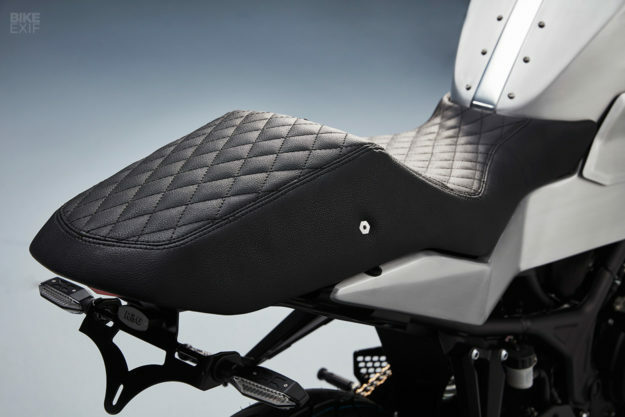 There’s also a tail bump cover, which bolts into mounting points in the new seat. And the cost is a very reasonable €980 (around US$1,200) if you pre-order the full kit before June 1. Bunker used their usual custom build procedure to create the kit. The design was finalized on paper, and then wooden bucks were built for shaping the aluminum parts. But since they were creating a kit, Bunker added an extra step to allow for millimeter-perfect replication. Once all the parts were formed, they were removed and 3D scanned. These 3D scans are now being used to create molds, which will in turn be used to press out runs of aluminum parts. The kit is called ‘Janus,’ after the Roman god with two faces that gaze into both the past and future. And that was the ethos that drove the aesthetics. The Janus prototype is also sporting a few add-ons to drive the design home. 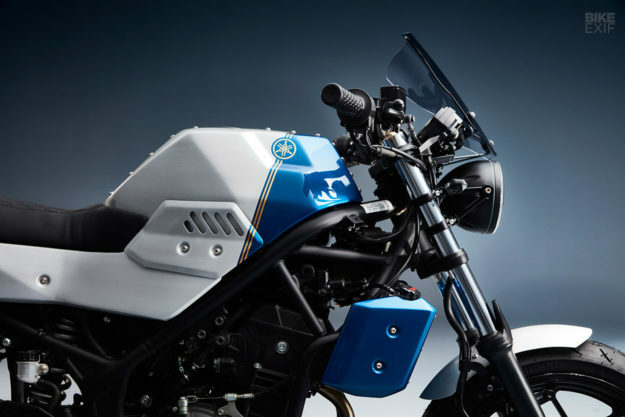 There’s a new LED headlight up front, Biltwell Inc. grips, a tail tidy at the back, and Yamaha’s own accessory turn signals all round. (The LED taillight you see is part of the upgraded seat.) 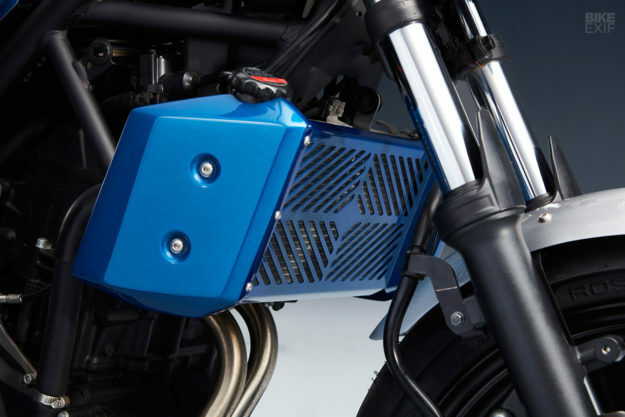 There’s also a full Akrapovič exhaust system to give the little MT some extra ‘tude. Not that the MTs are mild to start with: they’re pretty perky on the road, and weigh less than 170 kilos fully fueled (around 365 pounds). 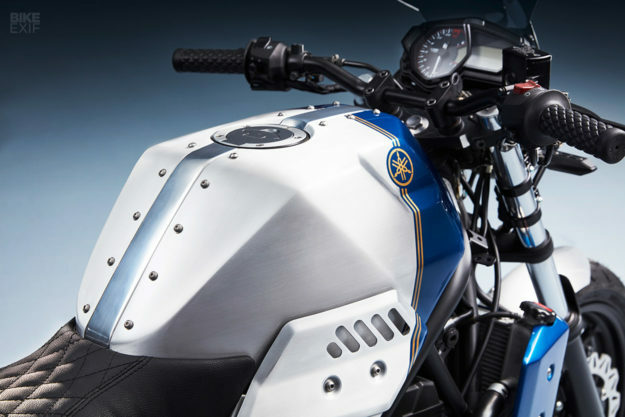 The Bunker boys are fans of the agile handling and the 14,000 rpm red line. 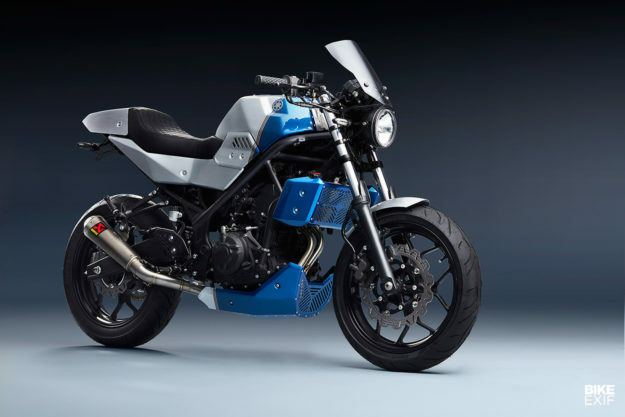 They’ve wrapped their MT-25 prototype in a slick blue and silver livery. But the final kits will ship raw, giving the customers the freedom to skin their MT any way they like. As an added bonus, the full kit shaves about 1.2 kilos off the bike’s total weight. 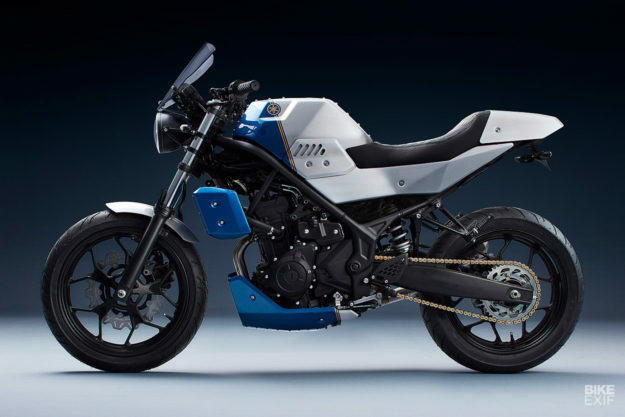 It’s a sharp new look for the MT-03 and MT-25, but mostly we love the idea of transforming a motorcycle with a couple of tools and a free Sunday. If you had a little MT in the garage, would you?